Do You Need Advice from the CAB? If you need advice from the Citizens Advice Bureau and live in Mill End, they have a session every Tuesday afternoon between 1.30 and 6pm at the Methodist Church in Berry Lane, Mill End, Rickmansworth. 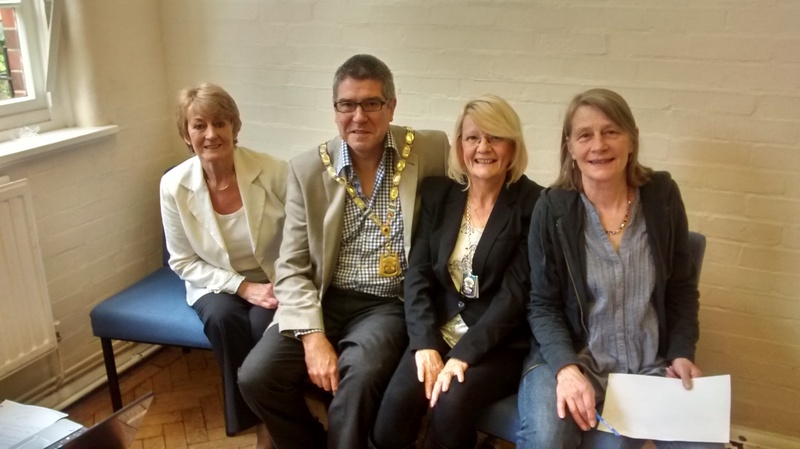 Councillor Eric Bishop, Chairman of TRDC, Visits Job Club! We contacted Cllr Eric Bishop after we saw an article in MyRickyNews in June and asked if he would attend one of our Job Club sessions. 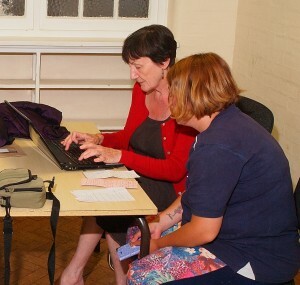 He came along and chatted to the volunteers and the clients about what the job club does and what they get out of it. The clients Cllr Bishop spoke to all agreed it was the personal one to one service they received that set this aside from the Job Centre and they felt more comfortable looking for jobs in this environment. He also met Mary Sinclair, from MenCap, who are actively recruiting in our area to hear how the way forward for recruiting both employees and volunteers has changed. We then gave Cllr Bishop a tour of the Community Centre showing what we offer now and the plans we have to offer more services to the community of Mill End and surrounding areas. “I am glad they contacted me as this is the sort of organisation I want to visit during my year in office. One thing that would help the job club is for local business to let them know of any vacancies they have”. Many thanks to Alan Baskeyfield, who kindly took the photos. Alan runs the Photography Club at The Mill, based at the Methodist Church, Berry Lane, Mill End, Rickmansworth. It takes place between 10am and 12 noon every other Friday of the month. Next meeting is Friday 31 July – portrait workshop. To find out more, just go along or telephone Alan on 07757199723.